I was provided a free entry into the Pretty Muddy mud run and obstacle course in Dallas, TX in exchange for blog posts about the event. All opinions are my own and I am under no obligation to give them a positive review. If I hated it, I'd tell you. 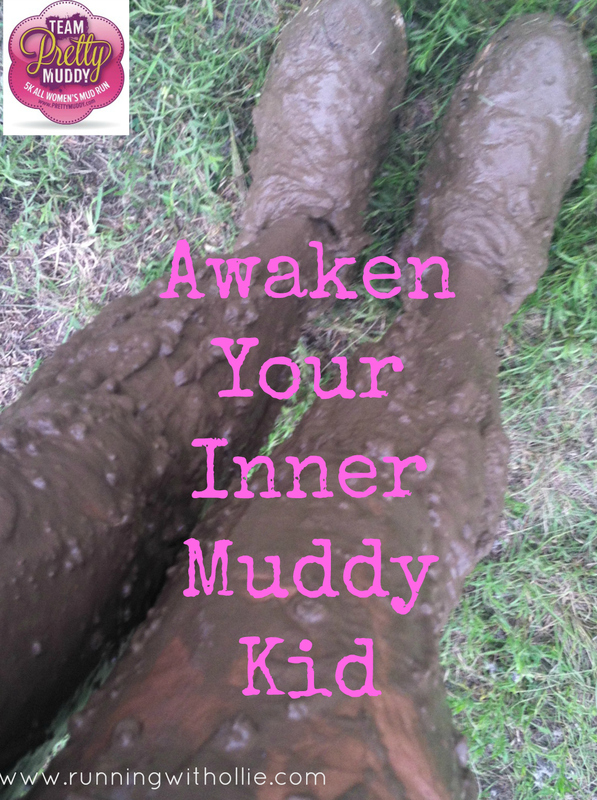 Do you remember when you were a kid and you played in the mud for fun? Remember when you would get as muddy as humanly possible and Mom would freak out because you tracked mud through the kitchen on your way to a Capri Sun in the fridge? When did mud stop being fun? (Hint: it didn't.) What happened to that muddy kid? A job? Responsibilities? Adulthood? Your own kids to yell at for tracking mud through the kitchen? I miss that muddy kid. But I don't have to anymore. It may not be socially acceptable to roll around in your backyard after a good rain, but there is a way to awaken your inner muddy kid (without totally freaking out the neighbors)! 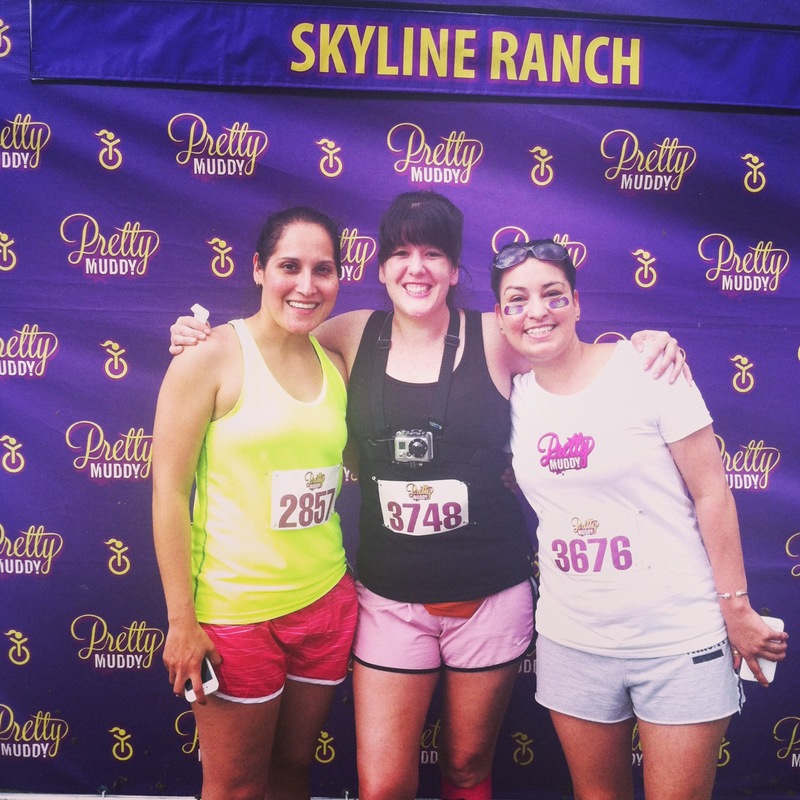 This weekend I ran the Pretty Muddy all women mud run 5K and obstacle course at Skyline Ranch in Dallas. I recruited a couple of (not-so-at-first) willing friends. My best friend doesn't run and doesn't like mud, but she loves me, so she reluctantly agreed when I pestered her for months asked her to do this with me. My other friend likes to run but said that getting dirty freaks her out. I promised them this would be a blast. I was sure they would like it. There is no way that one doesn't have fun going full speed down an inflatable slide into a mud pit. Right? These runs are all about friendships and fun. 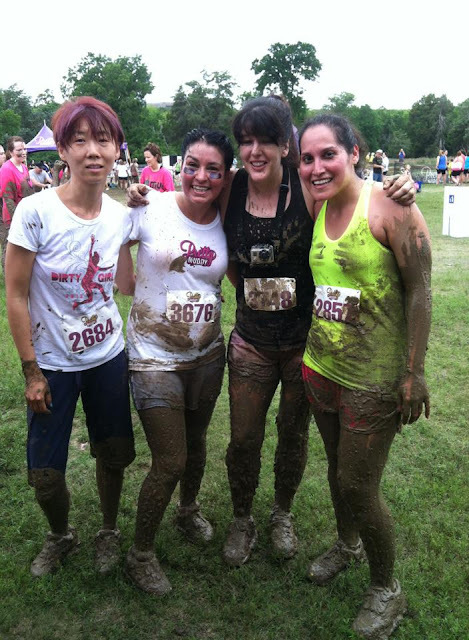 I had my friends and Pretty Muddy was promising the fun. Let's do this! Once we arrived at Skyline Ranch, retrieved our bibs, and checked our gear, we were ready to get muddy through the obstacle course. (Well, I was. I think they were still nervous.) While waiting at the start line we made a new friend who found me there from my blog. (I love when that happens.) I was thrilled, the more the merrier in these kinds of runs! And she said she didn't like to get dirty! 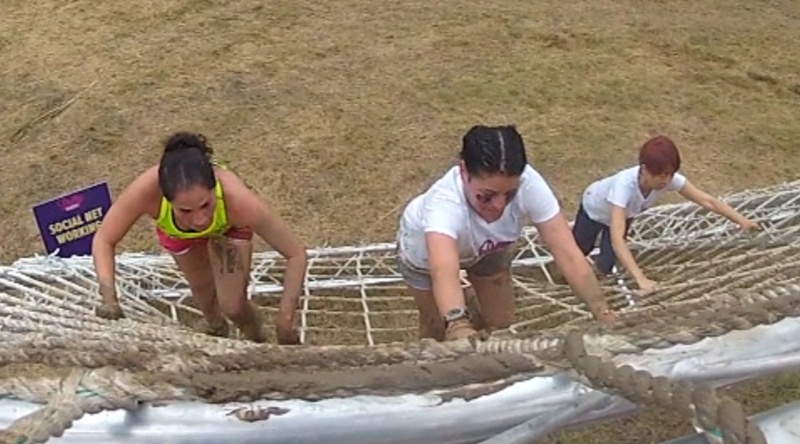 The obstacles were really fun and never too challenging, they seemed like they would be appropriate for any fitness level, and you always had the option of detouring around any obstacle. When was the last time you crawled on your hands and knees through the mud, the last time you scaled a wall, or climbed up rope ladder 20 feet in the sky? I even skinned my knee. This is the stuff kids are made of. 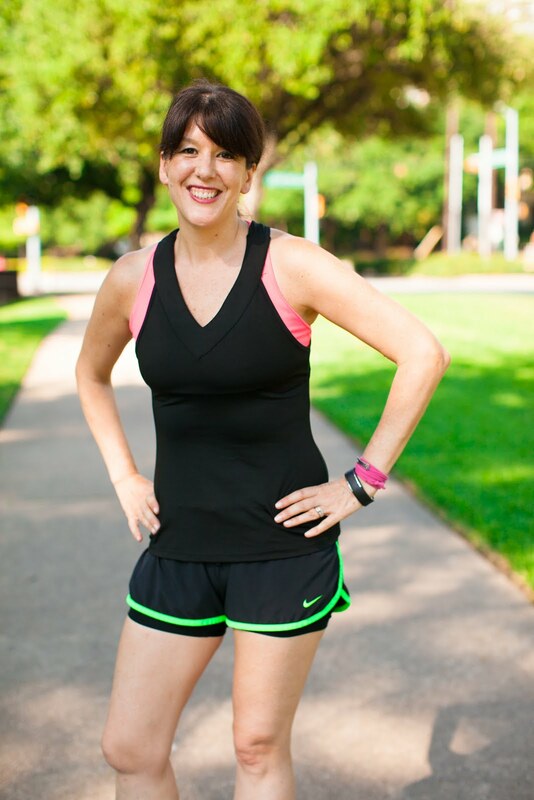 The running portions of the course were relaxed and laid-back through the wooded park area, there were plenty of walkers between the obstacles, and I never pushed my pace like I would have in a traditional 5K. After a 5K of running, walking, crawling, climbing, wading, and sliding, we came out on the other side wearing mud and smiles. 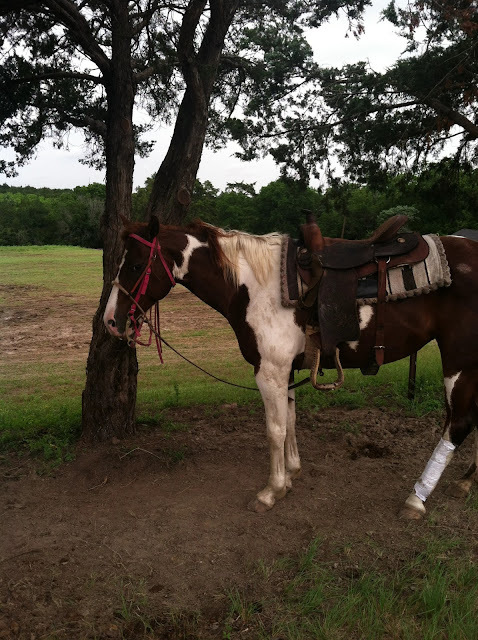 And you can't go to a ranch in Texas without seeing horses. The Dallas Pretty Muddy was sponsored by Old Navy to promote their active wear line, so I was very excited to receive an awesome tote bag, an Old Navy tee, and Old Navy flip flops after I finished the run. 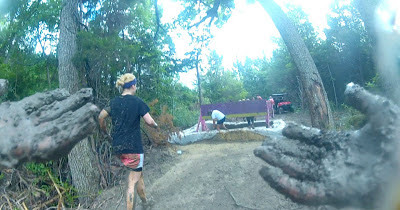 When you include the Pretty Muddy shirt and the free beer at the end (plus free skin exfoliation, duh), I walked away feeling like the runners got a lot for their money. 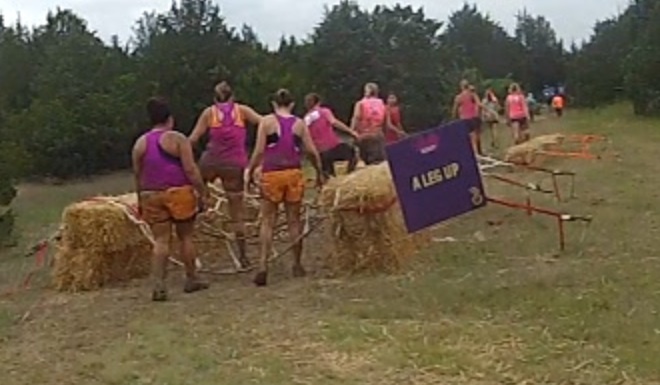 The Dallas race also benefited Susan G. Komen, Dallas County, and for all the mud runs combined Pretty Muddy gives away 250 free entries for breast cancer survivors. You are not just getting muddy for yourself, you are getting muddy to help others. 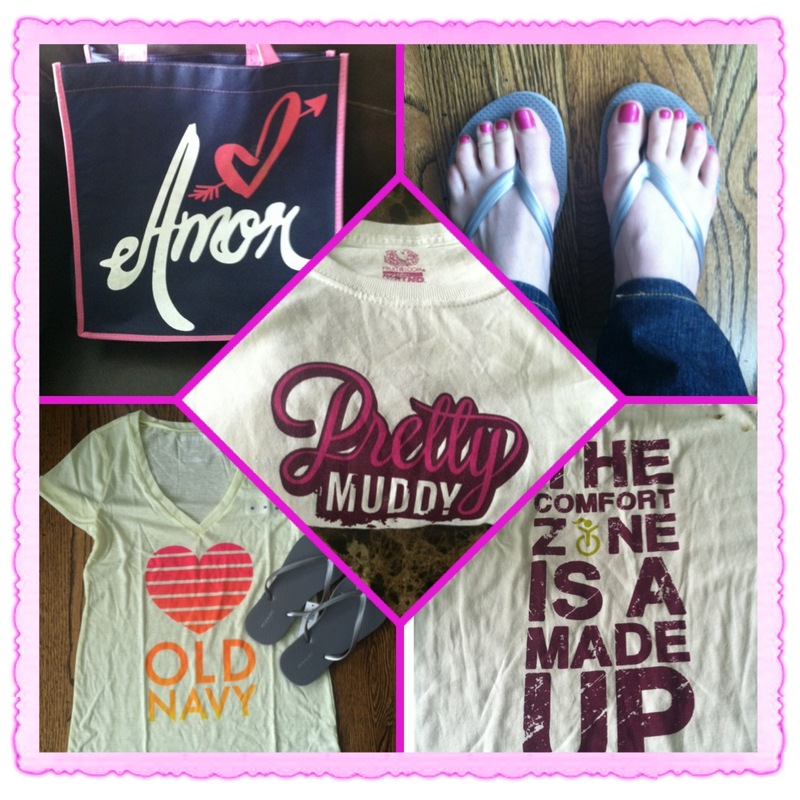 Pretty Muddy and Old Navy Swag! 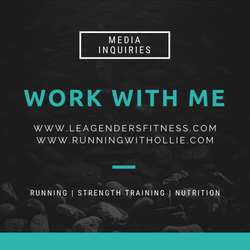 I highly recommend you check out the site to see if a Pretty Muddy mud run and obstacle course is coming to a city near you. 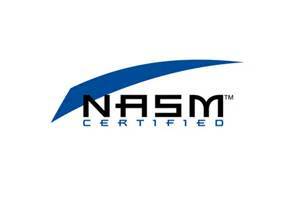 It is such a fun, rewarding experience. And my friends who don't run and don't like getting dirty? They had the time of their lives! 1. Don't wear cotton. Cotton absorbs water and mud and will weigh you down. 2. Bring a change of clothes for after the race. 3. Bring flip flops for after the race. 4. Leave electronics at home and leave your phone at gear check. 5. 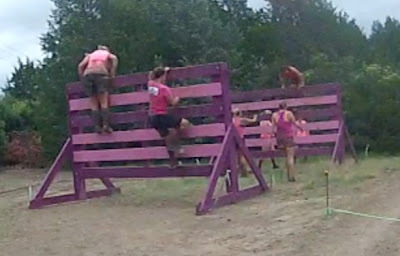 Buy a water proof disposable camera to take with you through the obstacle course if you want pictures. 6. Bring cash for parking. 7. Bring several towels and wet wipes. 8. Bring trash bags to line your car seats on the way home. 9. Consider donating your muddy shoes to the charity after the race. 10. Bring a lot of friends, don't be afraid to wear a costume, and just have fun! Did you wear a camera on your head? I had fun but didn't get as muddy as I thought I would! I wore the camera on a chest strap and I got totally muddy!! It is not uncomfortable at all. I always forget I am wearing it, it is so light weight. I bought the chest strap but it is a little less dorky than a head strap :) My only complaint is that running footage is VERY shaky, so it helps when you have other footage to edit in and balance out. That looks like so much fun!!! I've never done a mud run! I love your tips and agree! 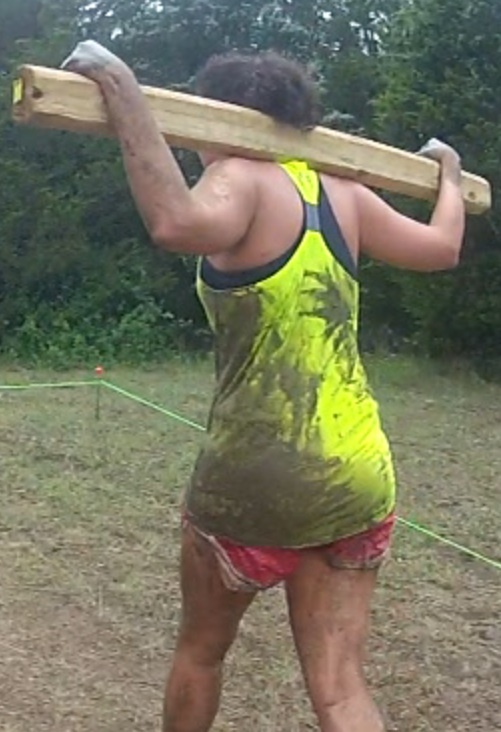 I am doing one more this year and might hang up my mud run gear..it's a lot of cleanup work! OMG!!! 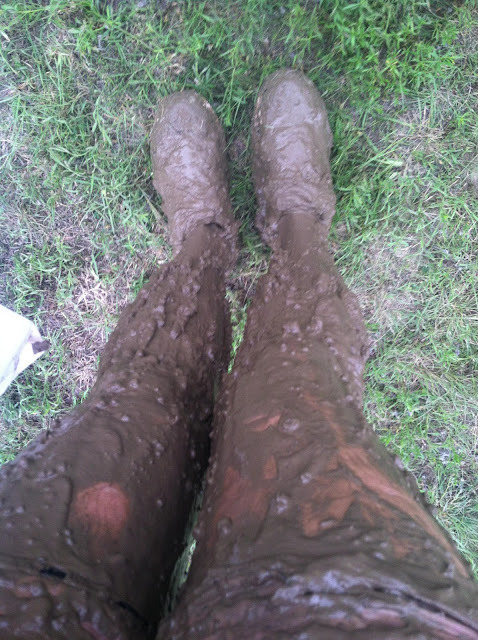 You guys are so muddy!!! It looks like you had a blast!!! I love the tips and will remember them when I do my first muddy run (date to be determined)!! LOL! I cannot wait until October when it's my turn to be Pretty Muddy. 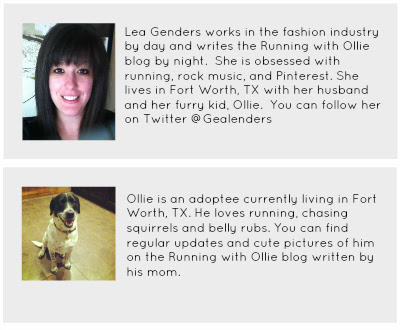 I'm signed up with my sister-in-law and her cousin and it will be their first mud run. It looks like you had a great time with your friends, Lea! Lea, this looks like it was a lot of fun! I think you just might have convinced me to give one of these a fair chance... it does look and sound kinda fun. What fun!! Thanks for sharing the whole experienced. Loved it!! I need to check their calendar and see when they are hosting an event in LA... I MUST do one of these!! Team Scrumptious Moms here we come. Woohoo! !